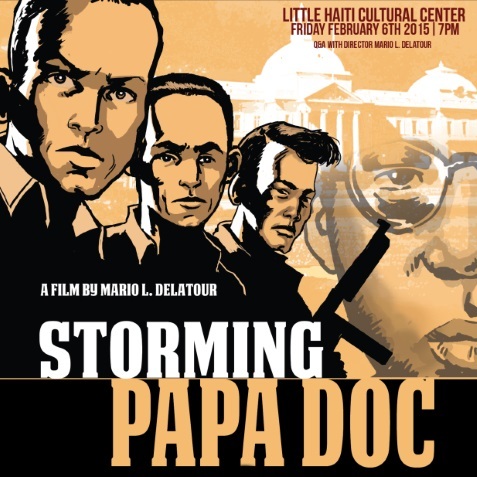 “Storming Papa Doc: The Siege of Haiti’s Casernes Dessalines by Captain Alix Pasquet on July 28, 1958.” A film with illustrations by Chevelin Pierre and animation by James C. Bazile. Mario L. Delatour’s animated documentary follows three ex-Haitian army officers who are bent on the removal of the new elected Haitian president. 2014 Amistad Films.